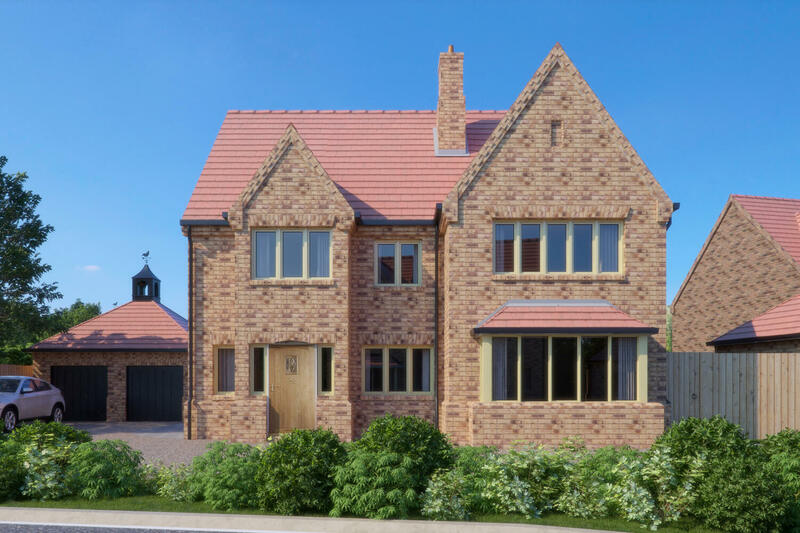 Plot 3 is the second house type available on the development. Upon entrance, the home features a spacious entrance hall, finished with a beautiful interior. The property featured an open plan kitchen and dining area. Moreover the home has stunning features such as a double garage and garden room. The interiors feature a modern kitchen complete with integrated appliances. The bathrooms and en-suites also offer luxurious touches. Our architects have maximised storage spaces throughout the properties, with built-in wardrobes and cupboards. With integral access to the garage, the property maintained privacy and convenience. There were a wide range of upgrades available. For a detailed plot specific specification and more information on our custom build process, please refer to our sales team.